Like our Rattan garden sofas, Rattan garden dining furniture is often the perfect choice for your patios and outdoor spaces. 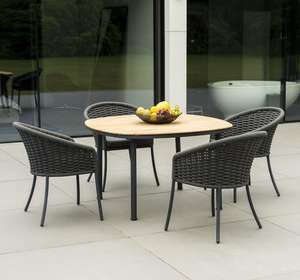 High quality rattan will last be UV resistant, lightweight yet durable, and low maintenance. A range of styles, shapes and sizes of garden dining table combined with practical glass tops make al fresco dining easy and a joy.